← What Wine to Pair with Your Thanksgiving Dinner? Monday, I mentioned that I will be at Raphael for a release party on Sunday November 22. Well, just across the street, well almost, Pindar Vineyards will be having their annual Champagne, Chopin and Caviar event. 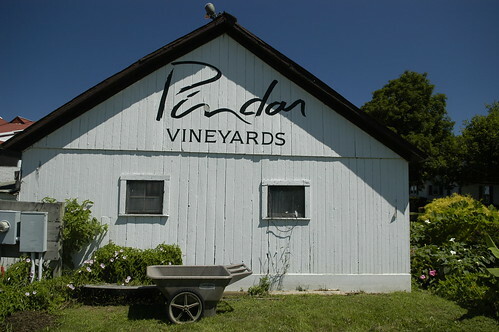 There will be tours all weekend at Pindar Vineyards, the times are 12:30, 2:00 and 4:00. I am not sure what time I will be there, but I am shooting for the 2PM slot, after my visit at Raphael. If you wanted to meet the Wine Undertaker, that’s me, post here and hopefully we can get in on some fun Long Island Wine and Bubbly tasting. And if time allows, maybe we can visit another vineyard or two. Complimentary tour & tasting featuring our Pindar Cuvee Rare. Join us as we demonstrate the final stages in the production of our Cuvee Rare in the traditional “méthode Champenois”. Watch as we disgorge, dosage, cork and wire our Cuvee. Enjoy a tasting of our most recent vintage along with appetizers. Tours are complimentary on a first come basis, Saturdays & Sundays at 12:30, 2:00 and 4:00pm, through November 23rd.